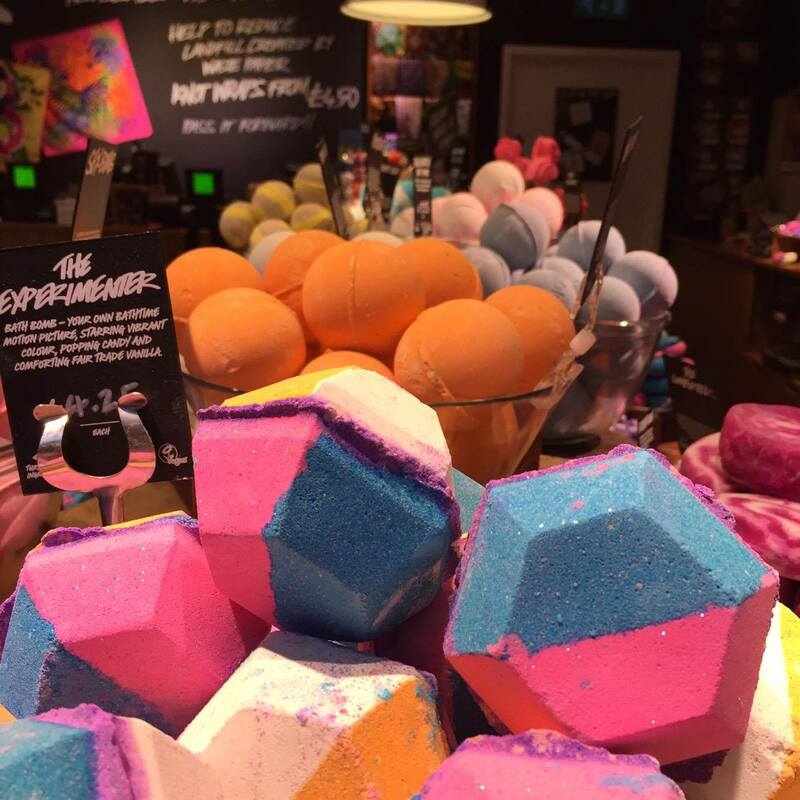 Recently, I headed along to a blogger's event hosted by the Lush store in my hometown - Lush Livingston. 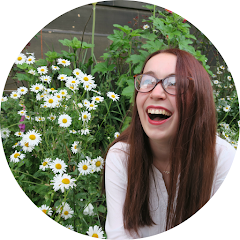 I attended an event there last summer about perfume (full post here) and I was really excited to return as we had such a great time at the last event. This time around we learned about lots of interesting stuff. 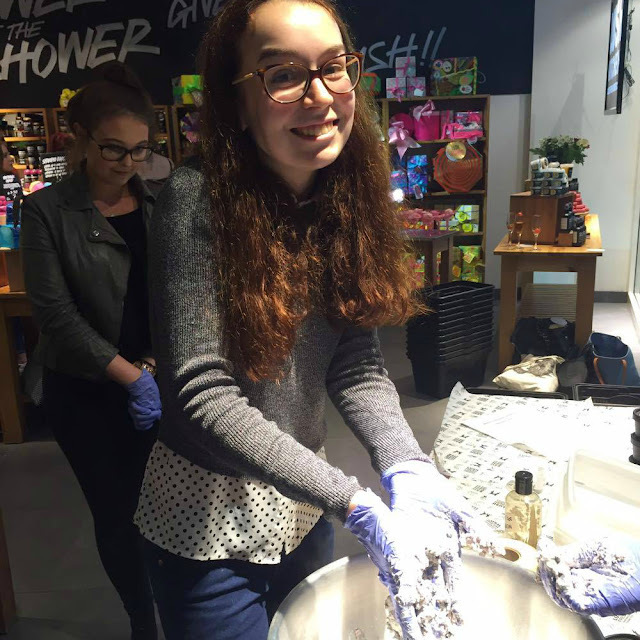 We were treated to little massages whilst learning about the Lush spa, made our own face masks, had an emotional brilliance reading and learnt all about their naked (packing-less) products. The staff paid so much attention to detail. Even giving us little treats to go alongside the scented products. Lush have always been against animal testing and they really mean it. I went cruelty free around 3 years ago and whilst it's incredibly satisfying it's also sometimes really difficult when you see the perfect product that you've been looking for and realise the brand that's making it test their product on animals. 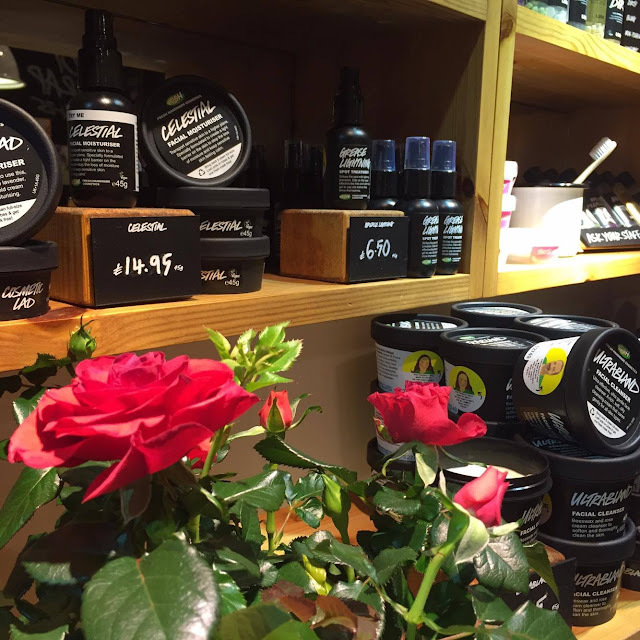 Lush were really active in making sure that products cannot be tested within Europe. But that doesn't mean that they can't be tested elsewhere. Companies selling their products in China have to pay a fee to have their products tested there. Unfortunately, this makes the majority of popular UK brands off limits to people who wish to remain cruelty free in their beauty products. However, Lush is one brand that I feel I can totally trust to be cruelty free and to be honest about where the ingredients in their products come from. I know that if I'm looking for a cruelty free alternative then I'm likely to be able to find it in Lush. And with the addition of new ranges quite frequently - I can't wait to see what they think of next. With the use of their products without packing, Lush globally stopped the sale of 16 million bottles which could have ended up in landfills during 2015. We're all guilty of not recycling as much as we could. 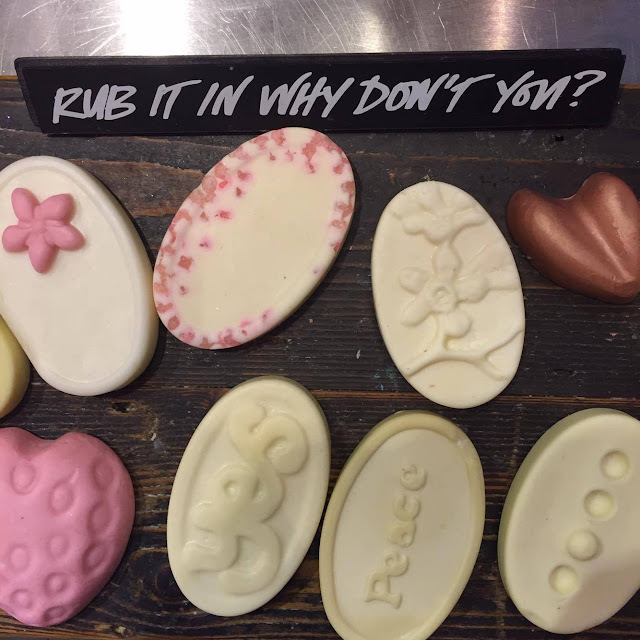 But thankfully Lush can make that a little easier for us with a wide range of naked products. I've tried the shampoo bars before and they are really impressive - one can last for up 80 uses which if like me you don't actually wash your hair that often *cough* then they can really help you reduce your impact with plastic bottles etc. They also have products like Full of Grace which is a solid facial serum that comes without packaging. We got to try out a little bit of this on our hands and it made them feel so soft and smooth! I'll definitely be returning to pick one up. You can return your empty black pots for a free face mask - no strings attached. The face masks have always been some of my favourite products from Lush. But at £6.95 each and with a short shelf life you have to admit that they can be kind of expensive. Thankfully Lush offer a reward scheme where if you bring back 5 empty, clean black pots you can exchange them for a free fresh face mask. This actually means that each black pot is worth £1.40 (or £1.39 for all you eagle eyed mathematicians). Now I don't know about you but I think that's pretty amazing. We actually made our own face masks at the event and it was a lot of fun. We were split into two groups, our group making catastophe cosmetic and the other making cupcake, and we were given a tub of each to take home and try out. I'd already tried both these masks and loved them - for a good laugh here is my original review of Cupcake posted in 2012 - so it was nice to get to use them again. I've been using Catastrophe Cosmetic and it's really helped my skin look a lot smoother and reduce redness. My sister has been trying out their Cupcake face mask and it's been doing wonders for her angry teenage skin. 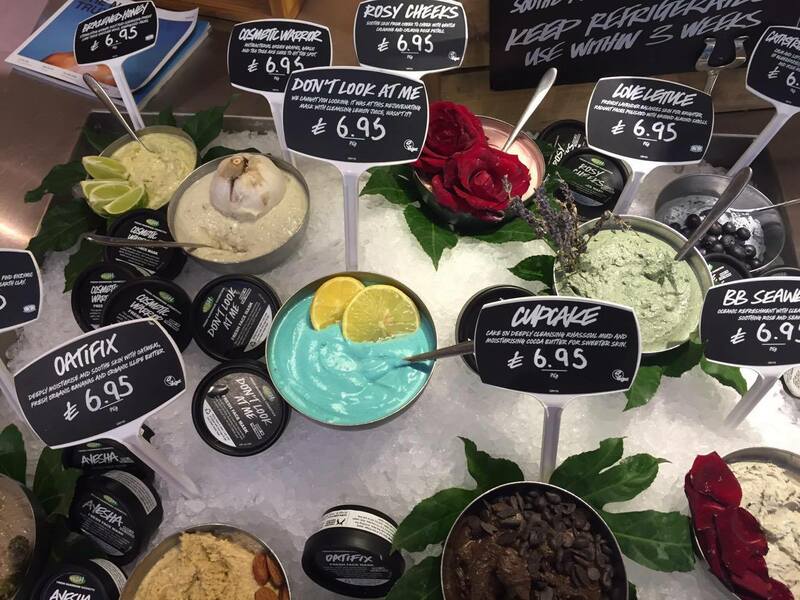 Lush clearly label their vegan products and their non-vegan ingredients are sourced as ethically as they can be. Now I'm not a vegan. I'm not even a vegetarian but I believe that if a company can make it easy for vegan/vegetarians to identify what products are suitable for them then that is a really great thing. Most of the Lush products are vegan and the ones that aren't typically contain honey. But where do they get their honey from? When talking about the shampoo bars we were told that the honey from the Honey I Washed My Hair shampoo bar is sourced from Zambia but that they use a lot of different suppliers from all over the world. This means that they can keep in time with the natural timing of the bees instead of over working them to produce more honey. Lush don't use plastic micro-beads in their products. Plastic micro-beads have been getting a lot of bad press recently and for good reason. And I was using them without a second thought. A lot of popular exfoliators contain plastic micro-beads as the exfoliator. And these get washed away and end up in the ocean etc where they aren't broken down. They become tiny pieces of litter and are bad for sea life etc. Lush only use natural exfoliators like ground nuts etc. One of my favourite Lush products is Buffy - a solid exfoliating bar that smells like lavender. I've repurchased this a few times and it's great. It's also one of the packaging free (AKA naked) products that Lush sell so it's extra good for the environment. We were told that this used to be called Buffy The Backside Slayer which is the funniest thing I've heard in a while. Whilst I could totally natter on about how much I love Lush all day I'm going to wrap here. If you haven't tried something from Lush then you really should - I promise you won't be disappointed. I'd also like to say a massive thank you to the Lush stuff for inviting us all along to such an amazing event and for the little goodie bags they so kindly gave us.